The Oslo headquaters of MMO developer Funcom found itself under siege this morning, as Norwegian economic crime unit Økokrim launched an investigation into suspected infringement of the provisions of the Securities Trading Act revolving the 2012 launch of The Secret World. Update — Funcom says game development and maintenance will not be affected by the situation. The charge, which can be read in full at the Oslo Stock Exchange website, calls into question the financial information given the market regarding paranormal MMO The Secret World from August 2011 to two months after the game's July 2012 launch. Økokrim also suspects the company may not have maintained proper financial logs of the period in question. According to reports out of Norway, officers from Økokrim were present as employees arrived at Funcom's Oslo headquarters this morning. The officers reportedly entered the building with cardboard boxes, which they loaded with documents and packed into a van. The charge states that Funcom is fully cooperating with Økokrim. The company was briefly delisted from the Oslo Stock Exchange earlier today, but has since been reinstated. This isn't the first time Norwegian authorities have investigated trading violations at Funcom. 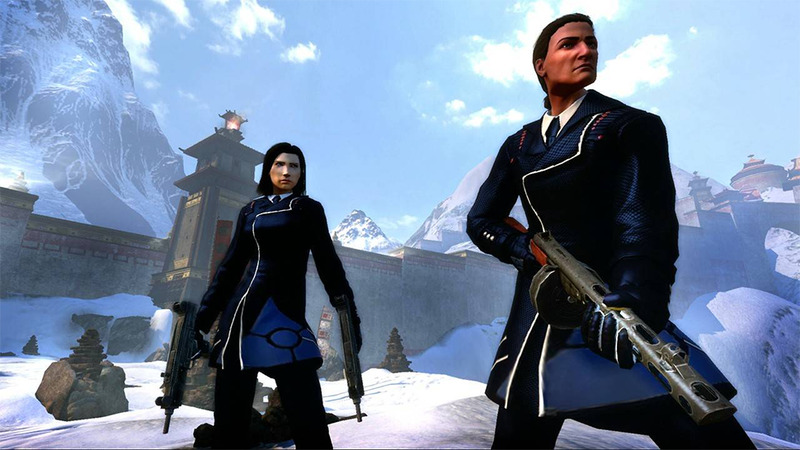 In September of 2012, two months after the launch of The Secret World, former CEO Trond Aas was under scrutiny for an incredibly convenient title change that allowed him to offload his company stock prior to the game's release. It's likely the current investigation has ties to the previous. Funcom, developer of modern-day MMO The Secret World, is just not having a good year. We've reached out to Funcom for comment on the situation, and will update this post should they respond. Update: Funcom has responded. Along with confirming the Økokrim charges and stating the company is fully cooperating with the investigation, the developer says all existing and new game development will be unaffected. Production on all Funcom games continues as normal, and the company remains fully committed to games in development as well as the continued operation and updating of existing live games. Yesterday's events is not expected to have any impact on the company's continued operation or the development on future releases. Funcom's key priorities are the development of the upcoming LEGO Minifigures Online, as well as supporting and expanding on the live games Age of Conan, The Secret World and Anarchy Online with new and exciting content. In terms of The Secret World, developers are currently in the process of finalizing its ninth content update, which will send players on a grand adventure through Tokyo, and Funcom will be releasing new information and screenshots from this update soon.